Are anti-bullying efforts wuss-ifying America? Posted on Thu, Feb 23, 2012 : 9:16 p.m.
Dr. Wayne Baker is away this week. Guest columnist Joe Grimm teaches journalism at Michigan State University and is leading a team of students researching the red-hot issue of bullying. Policy-makers nationwide are looking for guidance on how to tackle this problem. You can read more from Joe’s students at an MSU student-run website. You can make a difference by reading this column, then adding a comment below. Some people are telling our MSU reporting team that the definition of bullying has been stretched too far. In blunt terms, these critics say: All this anti-bullying stuff is wuss-ifying America! We now have a cyberbullying definition and one for bullycide, terms we didn’t even have 15 years ago. Whether or not social aggression is growing — there is no doubt the dictionary is. Social exclusion, in which a group shuns someone, is now part of the bullying lexicon, stretching it even further. Legal bullying definitions are evolving, too, as are laws about it. Some say that the complaints, the laws, the lawsuits are an overreaction. Last week, in a program titled “Electric Cars and the Wussificaton of America,” Rush Limbaugh said we are inventing terms and traumas to describe all of our difficulties. He said, "I'm not denying the stress is real, but I don't think we know what it really is compared to our parents and grandparents. But we make it real. I mean, it paralyzes us. There’s no question it does. And the way we deal with things today versus the way they used to be dealt with, such as bullies?" We generate reams of bullying information for kids. We have them make anti-bullying posters. They fill out bullying questionnaires at school. We used to show kids how to stand their ground. We used to call it growing up. Now, instead of fighting back, they post bullying songs on YouTube or role-play in bullying games. 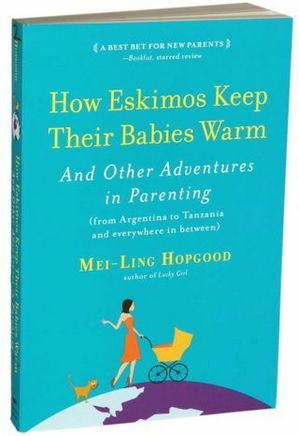 A new book by Mei-Long Hopgood, “How Eskimos Keep Their Babies Warm,” says that teachers in Japan let students work their differences out on their own, even if someone gets shoved. They turn out fine. Americans and Japanese teachers seem to have very different approaches to aggression. Is our focus on bullying going to wussify America? Twenty percent of teens flatly responded that their peers are mostly unkind, and an additional 11 percent responded "it depends." Eighty-eight percent said they have seen peers being mean or cruel online. Girls aged 12-13 who are active with social media were much more likely than other teens to say that people seemed to them to be mostly unkind. Thirty-three percent said that. More than a quarter of all girls at this age said that bad experiences online made them anxious about going to school the next day. About 55 percent of all teens said that the most frequent response of their peers to mean behavior online is to ignore it. The report said non-responders should not be judged, as it can be difficult to know what the aggression is all about and that some might ignore such behavior to discourage it. The major message in the report is not that bullying happens online. There has always been bullying, so it is no surprise that it has moved to social media. The a-ha is that, because kids always have a computer or phone with them, they no longer have any bully-free times or spaces. Bullying can follow students wherever they and their ever-present devices go. School, which has been the scene for a lot of bullying, might now be seen as a haven from it because schools require phones to be shut off and because teachers are watching the classroom. Is it possible to protect kids from cyberbullying? Who is responsible? Parents? Teachers? The teens themselves? Should teens be encouraged to pressure others from being online bullies? Please add a comment below and "like" us on Facebook! Tue, May 15, 2012 : 1:38 p.m.
&quot;teachers in Japan let students work their differences out on their own, even if someone gets shoved. They turn out fine.&quot; Painting with a overly large brush I would say. They may be polite and they may have some stricter public mores but to say that the Japanese (as a culture) turn out &quot;fine&quot; is a bit naive. All one needs to look at is their suicide rates and certain distasteful predilections to put the lie to that statement in general. And in particular in the business world, where old traditions of caste and rank play out daily. I'm sure there's no bullying there at all...not. Fri, Feb 24, 2012 : 7:58 p.m.
One distinction that needs to be drawn is between interpersonal conflict and humiliation. Kids have arguments that can escalate to shoving matches and all out fights, but the issue is between two people who minutes earlier were playing happily together. Teaching kids how to resolve these conflicts without fighting is the goal, but shouldn't be exclusionary. As they get older, they ought to get better at it, but sometimes words fail even with the best of friends. That said, nobody likes a biter. Bullying is not just two people having a personal conflict who were cooperating up to that point. The goal of the interaction is not primarily resolution of a disagreement, it is a power trip aimed at humiliation and often has more than one person involved in the act. You really can't solve bullying with conflict resolution alone. There has to be normative behavior from the group to discourage bullying and limit the bully's power. If the group values a pecking order over individualism, there's going to be a lot of pecking. Fri, Feb 24, 2012 : 1:57 p.m. I don't think the fact that we're more aware of and less tolerant of bullying today makes us wimps. I think it means that grownups today who were bullied as kids a few decades ago are walking around with rips in their hearts where they were damaged by both the bullying and the fact that nobody seemed to care because it's just &quot;a normal part of growing up.&quot; I know adults today who grew up way before social media who were incessantly bullied and have lingering problems with self esteem and depression today. I think equating low tolerance for bullying with &quot;turning our kids into wimps&quot; is a pretty horrifying stance.